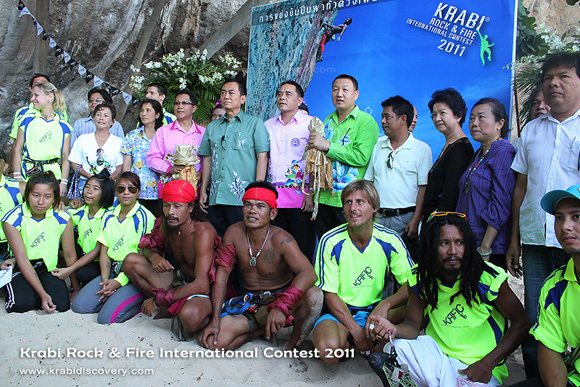 The recently concluded Krabi Rock & Fire International Contest 2011, held on April 16th and 17th April was a great success. 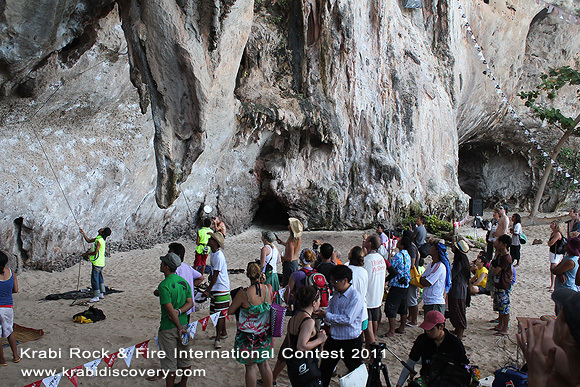 International rock climbers from various countries arrived at Railay Beach and Tonsai Beach for the two days competition. 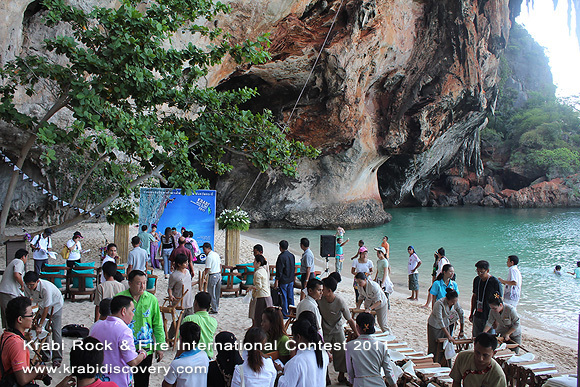 The event highlighted rock climbing activity in Krabi Province and aim to push rock climbing activity as an annual tourism promotional event of the province. 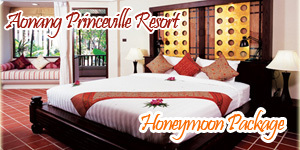 Adding and further projecting the image of Krabi as a renowned mecca whereby participants can have their skills judged. Other interested, authorities, organization, associations and clubs. 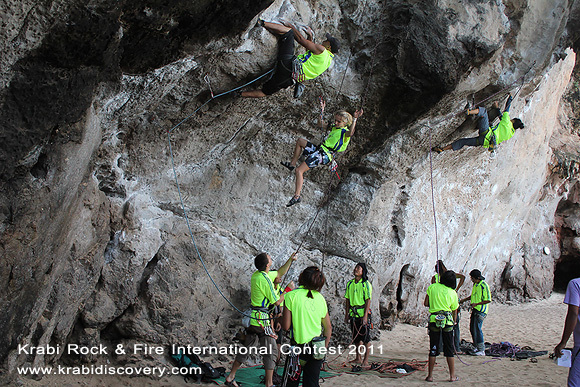 Krabi has world-class rock climbing sites with more than 700 rock climbing routes created since the late 1980’s. Magnificent limestone cliffs casting long shadow during the day makes a perfect heaven for climbers to select their own levels and challenges. Sprouting along the shoreline with sheer vertical rock faces, international competitors gather to scale bolted routes with steep pocketed walls, overhangs and dropping stalactites. Bouldering climbing is a popular sport in Tonsai and Railay. A good way to practice technical rock climbing skills over a crash pad when hopping from stone to stone mimicking the agile gecko. Deep Water Solo is another form of solo rock climbing that relies solely upon the presence of water at the base of a climb to protect against injury. 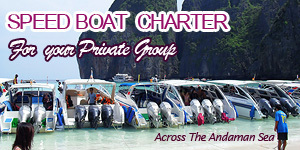 Basically you take a boat out to an island and as the captain hovers near one of the cliffs, you dive off the boat with your climbing shoes on, swim up to the rock wall and start climbing. There is no need for ropes or a belay because if you fall, you end up in the sea. Ideally you want to reach a comfortable spot before letting go and kicking off the wall. Just slipping off a hold during a tough move and falling straight down is far from ideal but you can always start all over again.